Ace Indian off-spinner Ravichandran Ashwin is all set to return to his old club Worcestershire, for the latter half of the county championship. R Ashwin is currently playing in the Indian Premier League (IPL) where he is the captain of the Kings XI Punjab (KXIP) franchise. Ravichandran Ashwin played for the county side Worcestershire in 2017 and played four games, claiming 20 wickets at an average of 29.15. He showed his all-round prowess as well as he averaged 42.50 with the bat. Worcestershire went on to win all the four games he was part of, to ensure the division two title and their promotion to division one. If the contract is signed and BCCI provide the adequate clearances, then R Ashwin will be the sixth Indian player to be allowed to get an opportunity to represent an English county team. It is very important and a refreshing change in the thought process of the BCCI to allow players to get themselves acquainted with English conditions ahead of India’s tour to England later on in the year. 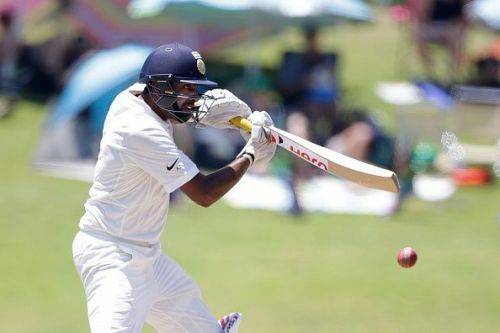 The other Indians who are playing county cricket currently are Cheteshwar Pujara, Varun Aaron and Ishant Sharma. Players who would be playing county cricket soon would be Virat Kohli for Surrey, Axar Patel for Durham and R Ashwin for Worcestershire. Ashwin is awaiting clearance from BCCI before he signs on the dotted line to join Worcestershire. This is indeed positive news for Indian Cricket. The rigidity of the BCCI to not allow its players to take part in other domestic competitions seem to have relaxed. This not only opens up doors for Indian cricketers to take part in domestic competitions played in other countries, but it also builds hope in the cricket viewers mind that with the ever-growing popularity of T20 leagues across the globe, more Indian players would be allowed to play in them. In a cramped, tight international schedule it becomes practically impossible to squeeze in warm-up matches ahead of a big overseas tour for the Indian team. That was evident in the recently concluded India’s tour of South Africa as well. By the time players got used to the conditions in South Africa, the series was lost. Keeping past failures in mind, the BCCI has eased its policies on allowing players to participate in domestic competitions across the globe- starting with allowing six cricketers to take part in the County championship, three of them critical to India’s success in England- Virat Kohli, Cheteshwar Pujara and Ishant Sharma. One can only be hopeful about this positive trend. Before the tour down under, the selectors and BCCI should send the core of the test team to feature in some Sheffield shield games, which would go a long way in them to get adjusted to bounce and pace which would be on offer there.